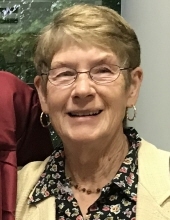 Betty S. Cass, 68, of Roscoe, IL died at 6:50 p.m., Thursday, November 8, 2018 in her home after a brief battle with cancer. Born December 20, 1949 in Portia, Arkansas, the daughter of Mr. and Mrs. Elmore “Bob” and Mary Edna (Tarlton) White. She was employed as a production scheduler for Amerock Corp. until closure and for various companies before retiring in 2017. The family wishes to extend a heartfelt thank you to Heartland Hospice, the staff at Swedish American Hospital for all their care given to Mom. To her nieces and nephews Pat, Rae Ann, Kathy and Eric for all their tender loving care given to Aunt Betty during her illness. Survivors include son Ladel (Arra Van Galder) Cass of Rockton, IL; grandchildren Davis and Ellery Cass; sister Katie Reyes; brother Robert White; sister Mary Watson; brother Preston White and numerous nieces and nephews. She is preceded in death by her parents, sister Erenstine French, brother Johnny Ray White and brother Zanuel White. Memorial Ceremonies will be held at 11:00 a.m., Friday, November 16, 2018 in McCorkle Funeral Home – Rockton Chapel, 767 N. Blackhawk Blvd, Rockton, IL with Pastor Hank Corcoran of Prince of Peace Church officiating. Cremation Rites to be Accorded. A visitation will be held at the funeral home from 9:30 a.m. until time of service Friday. Memorials have been established to the Swedish American Foundation, Spirit of Nursing, https://www.swedishamerican.org/about-us/donate-swedishamerican-foundation. To send flowers or a remembrance gift to the family of Betty S. Cass, please visit our Tribute Store. "Email Address" would like to share the life celebration of Betty S. Cass. Click on the "link" to go to share a favorite memory or leave a condolence message for the family.